Hiya guys! The last week or so I feel I have been a little MIA and truth be told last night was my first time swatching in almost two weeks. Needless to say I'm still a bit behind on sharing some amazing polishes and stuff with you guys. This means I'll be sharing content at least twice a day and also on the weekends throughout the summer starting next month. Now getting into today's post, I'm sharing the newly released Fancy Floral Collection by Nail Hoot. This collection consists of five shimmer polishes inspired by a variety of gorgeous flowers. 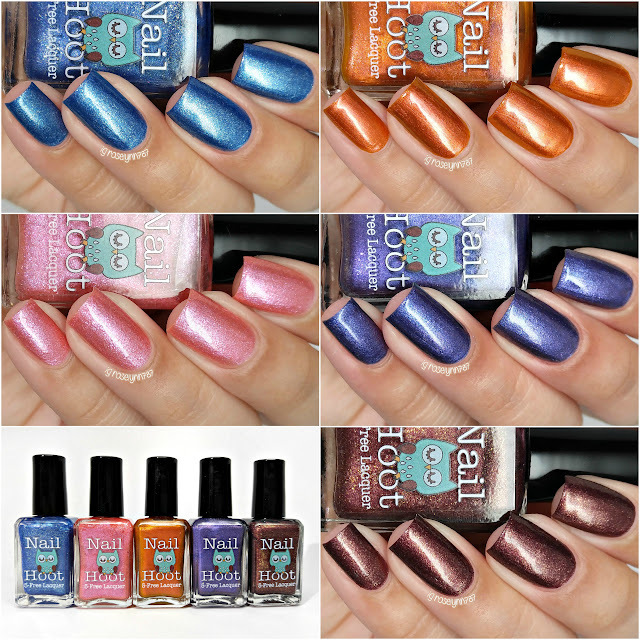 I also recently reviewed Nail Hoot's one year anniversary duo, be sure to check that out as well. The Fancy Floral Collection by Nail Hoot is now available for purchase. The entire full-size (15mL) retails for $33.00 and the mini-set (5.5mL) for $23.00. Individually each full-size (15mL) bottle retails for $7.00. Mini sized bottles are not available individually. Morning Glory can be described as a purple shimmer with heavy blue tones. Put this beauty under the must-have blurple category! It's such a gorgeous mix of the two shades, the tones shift effortless with natural lighting. Formula has a smooth opaque application with a great even consistency. And I experienced no staining with this pigmented shade either. Shown here in two coats and sealed with a glossy topcoat. Blue Geranium can be described as a navy blue polish with heavy shimmer. The shimmer in this gives the polish such a pretty frosty kind of feel. Formula has a smooth opaque application and didn't give me any issues. 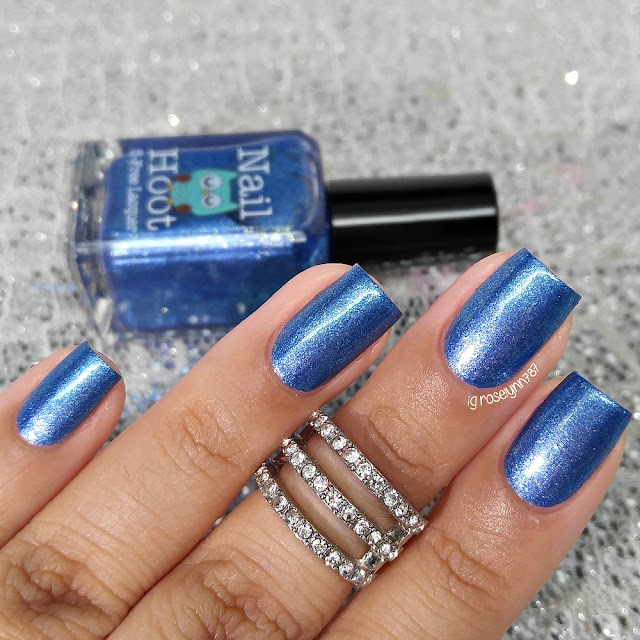 I wore it overnight without a base and there was no staining with this blue beauty. The finish dries very minimal to a gritty feel, but it smooths out perfectly with topcoat. Shown here in two coats and sealed with a glossy topcoat. Midnight Sun Pansy can be described as a brownish-red polish with a lovely sheen. 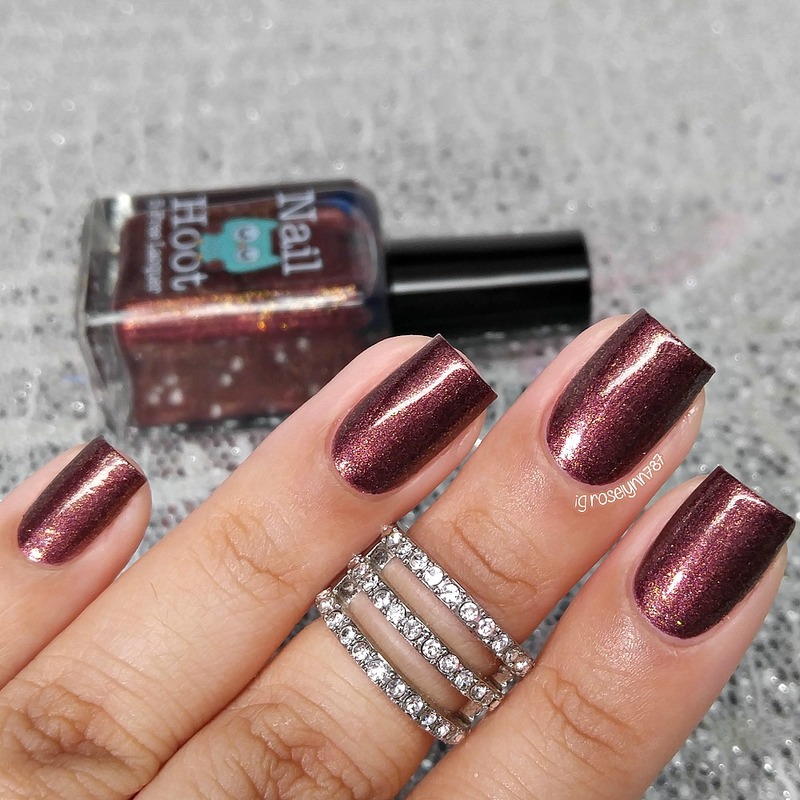 Words cannot describe how perfect the hints of gold shimmer looks against the vampiness of this shade! Shown here in two coats and sealed with a glossy topcoat. Hanging Fuchsia can be described as a dainty pink polish with a heavy shimmer. The shade of pink tends to bring out a lot of warmth from my skin tone. I don't think it clashes, but it's not a personal favorite of mine. Good formula with this one as well though it's more sheer than the rest of the polishes here. Again with this one the finish dries a bit on the gritty side. Shown here in three coats and sealed with a glossy topcoat. Tiger Lilly can be described as a orange shimmer polish with hints of pink and yellow. I'll be honest, this polish was an unexpected favorite from this collection. The color is so rich and I can't help but thinking it'd be so perfect for Fall. The formula and consistency were spot on, great application throughout. There are minimal brush strokes in the finish, but topcoat helped blend them nicely. Shown here in two coats and sealed with a glossy topcoat. 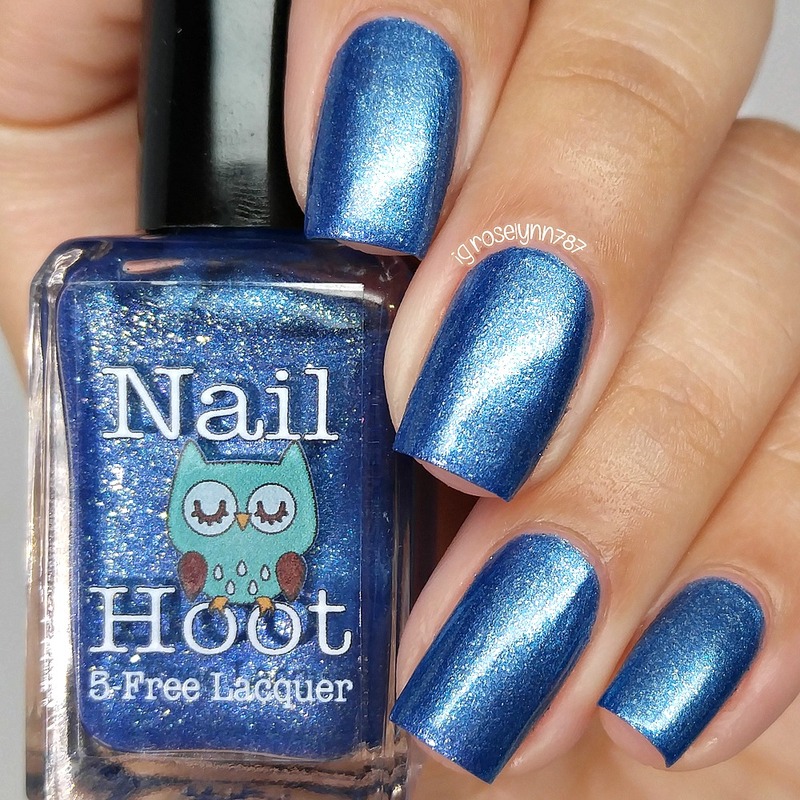 Overall this is another fabulous collection coming from Brandie of Nail Hoot! Shimmer finishes really feel like her expertise as she always creates some stunning shades. I cannot help but pick Tiger Lilly as a must-have, it's such a eye-catching shade year round. But tell me guys, which one is your favorite? To recap, the Fancy Floral Collection by Nail Hoot is now available for purchase. The entire full-size (15mL) retails for $33.00 and the mini-set (5.5mL) for $23.00. Individually each full-size (15mL) bottle retails for $7.00. Mini sized bottles are not available individually. Absolutely stunning collection. You swatched amazingly. Love Midnight Sun Pansie but all the colors are gorgeous. When I started getting into nail polish I was all about the light pink shades but more and more importantly drawn to the darker vampy shades. Gorgeous collection! I love Morning Glory and Midnight Sun Pansy. Tiger Lily is pretty gorgeous also!